I have known Simon for a couple of years and have always enjoyed discussing mining opportunities with him. I find Simon to be extremely insightful and this, coupled with his honest and analytical approach to researching companies, makes his newsletters unique and potentially very valuable. Simon seems to consistently find companies that many of us are not familiar with and then analyse them in a detailed and engaging manner, making his newsletters a “must read”. I think a picture paints a thousand words. 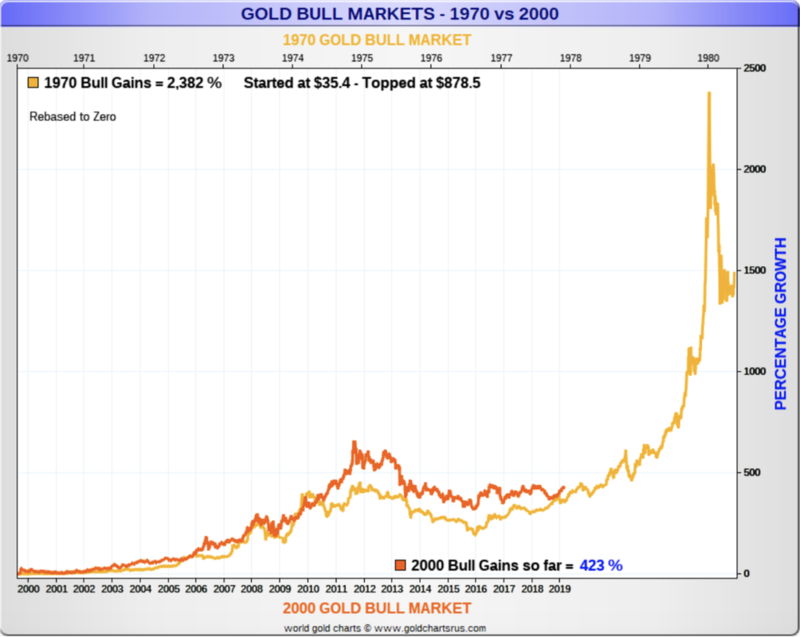 Here is a chart comparing the current bull market (red line) with the one in the 1970's (gold line). People who got in early in the 1970's could have made 10X, even 50X their money investing in the right mining stocks....and I'm speaking to the gold and silver mining community everyday.